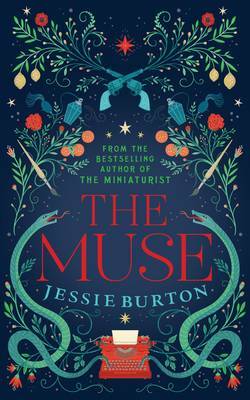 Since The Miniaturist, the world has been thirsting for another novel from Jessie Burton. So we’re thrilled she’s launching The Muse at our very first Salon for A Book And A Bottle. Everybody will be reading it this summer. Here’s what we think you should be drinking with it. 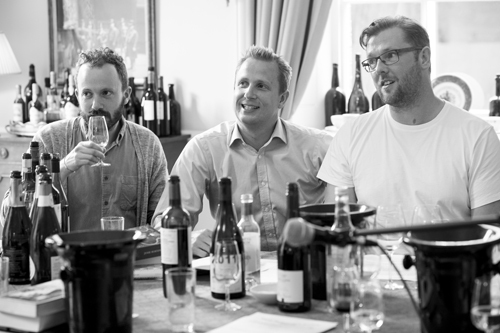 Helping me make our #NovelPairings are James Franklin from Corney & Barrow and Simon Heafield from Foyles. Two young women, each determined to forge her own life in creative fire, are the twin stars of The Muse. In 1936, Olive Schloss longs to study painting at the Slade but is trapped with her rich warring parents in a crumbling but glamorous finca in Southern Spain. In 1967 Odelle Bastien emigrates from Trinidad to London determined to be a writer. Odelle’s world is still recovering from the war that Olive’s world is fast hurtling towards. A mysterious painting binds their stories together. No spoilers, I promise. But Jessie Burton’s second novel has all the hallmarks of her smash debut: compelling characters, detail to linger over and a dark mystery ticking steadily at the centre like a fatal clock. Odelle lands a job in the snooty Skelton’s Gallery. It’s 1962 but London isn’t quite swinging yet: ‘In London there were many ways to live but few to change the life you had’. As a young black woman Odelle gets used to dirty looks. When she gets called ‘wog’ we flinch with her. The gin-swilling couture-clad Marjorie Quick is Odelle’s boss and unlikely mentor and must surely be played by Miranda Richardson in the inevitable film adaptation: ‘Her clothes were an armour made of silk’. It’s to Marjorie that Odelle turns when her new boyfriend produces a startling painting supposedly left to him by his mother. The Jewish Schlosses have, wisely, fled Vienna. Harold is a rich art dealer and Sarah an even richer heiress. He has affairs and she ‘smiles in ballrooms, weeps in bedrooms’. Brother and sister Isaac and Teresa Robles wander up from the village offering domestic services inveigling themselves into the Schloss’s already messy lives. The Muse hurtles along on several levels: domestic discord, local disputes, civil war and what will become World War Two. At the centre of it all is a painting. It’s the latest addition to the genre we should call ‘pic-lit’: The Vermeer in The Girl with the Pearl Earring by Tracey Chevalier, the disputed Bruegel in Headlong by Michael Frayne and a made-up painting by a real artist, Antoine Watteau, in Hannah Rothschild’s The Improbability of Love. The tiny Goldfinch by Carel Fabritius inspired Donna Tartt’s epic. In the Muse we have a made-up masterpiece by an imagined artist. Astonishingly, the shimmering golden mane and gory head-carrying woman in Rufina and the Lion feel real. As real as the handsome, artist-turned-revolutionary Isaac Robles. You’ll be imaging it, and him, long after the final twist. The Bibulous-o-graphy for The Muse is lengthy. There’s lots of Dubonnet and Gin in Odelle’s Soho and plenty of Fino in Olive’s finca. My favourite reference is to some vintage champagne used to douse Sarah’s Rapunzel wig when it catches fire at a fancy dress party. “Straight away we thought of Spanish reds,” says James. Simon and I nod and hold out our glasses. “Rioja Crianza Bodegas Zugober 2011 is a great start – Rioja gets big in the UK around the time Odelle arrives from Trinidad.” A spicy country red packed with ripe red fruit but maybe too obvious a choice. Next up we try Chianti Classico Gran Selezione Castello di Monna Lisa Vignamaggio 2010. “The Castello is stunning,” says James. “One of the most beautiful places we buy from and the owner claims his ancestor was the model for the Mona Lisa.” A delicious tale and a big, bold but balanced Sangiovese blend yet possibly too heady for me. And Isaac Robles isn’t interested in masterpieces – he wants revolution. The Schlosses are glamorous global citizens with homes the world over. They drink local wine, and lust after locals, but aren’t bound to custom. “I can see them drinking this at lunch in the Orchard,” says James uncorking a bottle of Valpolicella Superiore Ripasso Cecilia Beretta 2014. “That’s it,” says Simon. “Ripasso means ‘go over again’,” says James. 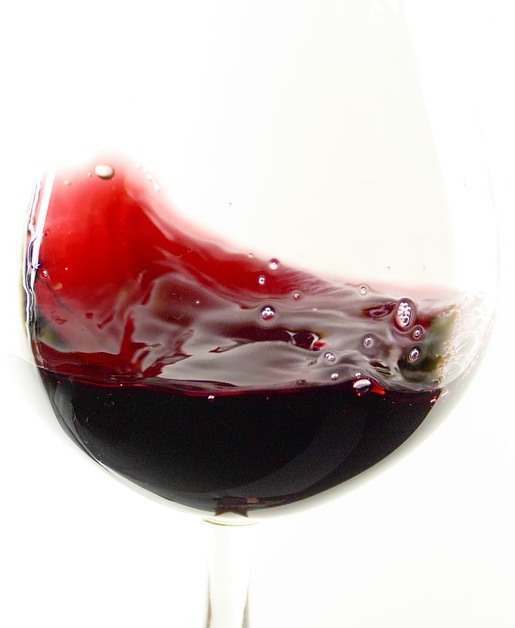 “Aromatic, sugary Amarone grape skins are added to basic valpolicella to boost flavour and intensity. As multi-layered as The Muse, it’s the perfect #NovelPairing.